At a secluded California desert castle, owned by eccentric millionaire Paul Manderley, tragedy strikes when Professor Gleason, a guest, dies, apparently from poisoning, after consuming a cocktail offered by Paul's wife Lucy. Others visiting the Manderley castle at the time are Paul Manderley's lawyer, Walter Hartford, Walter's wife, Brenda, and Manderley's physician, Dr. Retling. Fearing that his wife will be implicated in the poisoning, because she is the former Princess Lucrezia della Borgia, and hoping to avoid the scandal that this would create, Manderley bribes Retling and Hartford to take Gleason's body to a hotel at the nearest town, Mojave Wells, and make it look as if he had died there of natural causes. Soon after, Charlie Chan, who is vacationing in San Francisco with his son Jimmy who is away on a one-week leave from the Army, receives a note from Mrs. Manderley asking him to come to the castle alone. Chan makes the journey, and upon his arrival at Mojave Wells, he finds that the townspeople do not harbor any good feelings for the Manderleys. At the castle, the detective soon finds that Lucy did not send the note to him. Suspecting that the sender wanted him to be there to witness an upcoming crime, Chan stays. Also, the distributor from the Manderleys' car, the only vehicle at the castle which is thirty-five miles from Mojave Wells, has mysteriously disappeared. 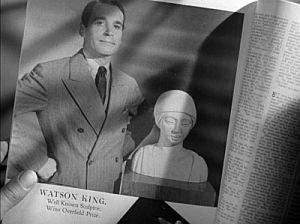 Arriving at the same time as Chan is Watson King, a sculptor who has been commissioned to do a bust of Lucy. Paul Manderley explains to Chan that, because he is a medieval scholar studying the life of Cesare Borgia, he wants to live in an atmosphere approximating, as closely as possible, that of the sixteenth century. Chan also learns from Retling that Manderley will lose control of his father's estate, valued at $20 million, if he is involved in any scandal. Soon, Jimmy also comes to the castle. 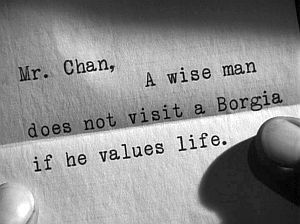 After his father had left San Francisco, a threatening note arrived that was meant for Chan. Sensing that his Pop was in danger, Jimmy had hurried out to warn him. 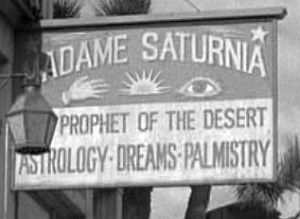 Arriving with Jimmy is Madame Saturnia, a fortune teller from Mojave Wells whose actions within the castle are secretive and mysterious, but who is actually there to help her friends the Manderleys. Her numerous predictions regarding events at the castle are all eventually proven to be quite accurate. Another visitor is Arthur Fletcher, a private detective representing Gleason's family. After Fletcher falls victim to poisoning, Retling tries to convince Manderley that Lucy is responsible and that she must be committed to a asylum in order to avoid a scandal that would prove ruinous to Paul. Manderley states that he will turn over control of his estate to Hartford and quietly leave with his wife. Chan discusses the situation with Lucy. 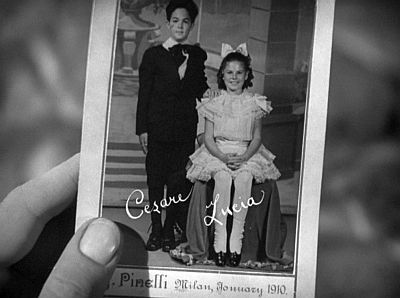 During their conversation she tells him about her stepbrother Cesare, who, years before, was acquitted on a charge of poisoning and was later killed in the Spanish War. A short time later, Chan obtains a confession from Brenda, Hartford, and Retling that they had paid both Gleason and Fletcher to pretend that they had been poisoned so that Manderley would give them control of the estate. Brenda also reveals that Cesare is not dead, and that a month earlier he had written to Hartford demanding money. Believing that there is a killer lurking about, Chan's suspicions are confirmed when Hartford is killed in Manderley's dungeon, apparently the result of having been shot by a crossbow arrow. However, Chan reveals that, since the shaft of the arrow was broken, he was actually stabbed with it. Chan explains that the murderer needed to get rid of Hartford and then Manderley so that Lucy would inherit the estate. He then reveals that Watson is the killer and that he is actually Cesare, having had a scar removed and his features altered through plastic surgery so that he would not be recognized. King pulls a gun on Chan and the assembled party, but he is overcome with the help of Arthur Fletcher who is hiding nearby in a suit of armor. NOTES: Although an August 15, 1941 Hollywood Reporter news item stated that John Larkin would write the screenplay for this film based on an original story by producer Ralph Dietrich, no other contemporary source confirms Dietrich's contributions to the picture as a writer. According to a studio press release and another Hollywood Reporter news item, Janis Carter was originally cast as Brenda Hartford. The Variety review erroneously lists the film's running time as 51 minutes. Castle in the Desert was the last Charlie Chan film produced by Twentieth Century-Fox. After Sidney Toler obtained the film rights to the character from the widow of Earl Derr Biggers, he continued to make Chan films at Monogram Pictures. It is interesting to note that Victor Sen Yung's life would soon share a parallel with that of Charlie Chan's Number Two Son, Jimmy, as he would soon be joining the U.S. Army Air Forces for the duration of World War II. Man who walk have both feet on ground. Man without enemies like dog without fleas. Desert without Indians very safe. Man who fears death die thousand times. To study Eskimo or African Pigmy, anthropologist must make their home his home. Caution sometimes mother of suspicion. Practical joke sometimes disguise for sinister motive. Lovers use element of surprise - also criminals. Detective sometime summoned to witness crime. Guilty conscience like dog in circus - many tricks. Sometime solution to murder problem does not require scandal. Glamour boy who jump to conclusion sometimes get hair mussed. Sharp wit sometimes much better than deadly weapon. Timid man never win lottery prize. Executioner merely servant of law. (Watson King: "I specialize in minding my own business.") Very lonesome pastime. Theory here [pointing to his own head] much safer than theory there [pointing to Jimmy's head]. (Jimmy: "Say, Pop, you haven't been drinking, have you?") Only wine of discovery. (Carl Detheridge: "Been out for a stroll. It's a beautiful moon.") Moon washed in blood. Man who sit on tack better off. This will probably be the last of the Charlie Chan whodunits. A very mild murder mystery, without clear-cut reasons for action, 'Castle in the Desert' will have to surface as dual filler in the secondary houses. Original script by John Larkin is unimaginative and seems to have been tossed together hurriedly in order to get the final Chan to the barrier. It's the typical medieval castle setting, with walking armor, sinister suspects, a torture dungeon and all the trappings. Only change is locating the castle in the middle of the desert, 35 miles from a waterhole town. Desert abode is quarters for Douglas Dumbrille and his wife. Casual weekend guests wander around in white ties and dinner jackets, while one guest is apparently poisoned by wine potion. Chan carries on to unravel the strange happenings and to save the millionaire couple from dire peril. Direction by Harry Lachman is slow in development, and efforts to inject slapstick laughs via antics of Jimmy Chan fail to catch on. Cast is standard for picture of this type. ACCORDING TO LUCY MANDERLY, THE TWO THINGS NEVER DISCUSSED IN THE MANDERLEY HOME: "...my family (the Borgias) and Paul's accident." ACCORDING TO PROFESSOR GLEASON, LUCY MANDERLEY'S NAME AND TITLE BEFORE HER MARRIAGE: "...Princess Della Borgia..."
DINNER TIME AS ANNOUNCED BY LUCY MANDERLEY: "...eight sharp." THE CARD GAME SUGGESTED BY DR. RETLING: "...a rubber of bridge." PROFESSOR GLEASON'S APPARENT CAUSE OF SUDDEN AFFLICTION, ACCORDING TO WALTER HARTFORD: "Gleason's been poisoned." THE RESULTS OF THE CASE AGAINST LUCY MANDERLEY'S BROTHER, ACCORDING TO PAUL MANDERLEY: "He didn't poison that girl, the Italian courts acquitted him." DR. RETLING'S STATEMENT REGARDING PROFESSOR GLEASON: "...Mr. Gleason's death indicates poison." THE LENGTH AND "REASON" FOR JIMMY'S LEAVE FROM THE U.S. ARMY, ACCORDING TO JIMMY CHAN: "One week off for good behavior." Do not communicate with me. noon at Mojave Wells, California. you to my chauffeur. Bring no one else." THE CARRIER PIGEON IDENTIFICATION AS READ BY CHARLIE CHAN: "United States Army carrier pigeon number 13576." CHARLIE CHAN'S NEW NAME FOR THIS CARRIER PIGEON: "Ming Toy - Daughter of Happiness." THE "SUGGESTION" AS TO CHARLIE CHAN'S PROFESSION AS OFFERED BY THE HOTEL OWNER: "Chop suey salesman..."
ACCORDING TO THE HOTEL OWNER, THE DISTANCE FROM MOJAVE WELLS TO MANDERLEY CASTLE: "It's 35 miles to the castle." 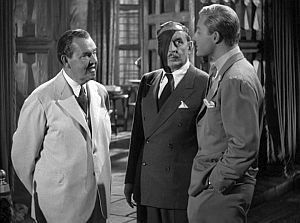 WATSON KING'S "SUGGESTION" AS TO CHARLIE CHAN'S REASON FOR TRAVELING TO MANDERLEY CASTLE: "You're the new cook or house boy?" CHARLIE CHAN'S ACTUAL CURRENT JOB TITLE AND RANK: "Lieutenant Chan, Honolulu Police"
MADAME SATURNIA'S PREDICTION FOR WATSON KING AS TOLD TO THE HOTEL OWNER: "He'll die a violent death, he will; and his murderer shall go unpunished." CHARLIE CHAN'S COMMENT REGARDING CARL DETHERIDGE: "Young professor of medieval history most helpful in solving difficult case." THE STATED PURPOSE OF CARL DETHERIDGE'S VISIT TO MANDERLEY CASTLE: "...just doing some research in Manderley's rare books." 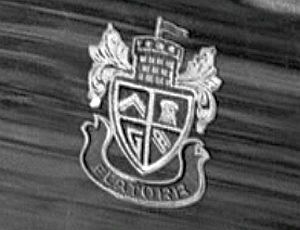 CHARLIE CHAN'S OBSERVATION MADE TO PAUL MANDERLEY REGARDING MANDERLEY COLLEGE: "House of learning built by honorable father." PAUL MANDERLEY'S STATED PROFESSION: "I'm an historian." CHARLIE CHAN'S EVIDENT FAMILIARITY WITH PAUL MANDERLEY'S WORK: "Have read most distinguished work. Very heavy - with pages of knowledge." ACCORDING TO PAUL MANDERLEY, HIS RESPONSIBILITY AND THE WORTH OF THE MANDERLEY ESTATE: " I am the sole administrator of a 20 million dollar estate." ACCORDING TO DR. RETLING, PAUL MANDERLEY'S MENTAL CONDITION: "He suffers from anxiety neurosis. He dreads scandal." ACCORDING TO DR. RETLING, THE CAUSE OF PAUL MANDERLEY'S MYSTERIOUS CONCEALED FACIAL SCAR: "...an explosion... It was years ago..."
ACCORDING TO WILSON, THE REASON THAT THE MANDERLEY CAR WOULD NOT RUN: "The distributor has been removed." ACCORDING TO WATSON KING, THE TIME OF HIS ARRIVAL AT MANDERLEY CASTLE: "...a day early." THE "SUGGESTED" PROFESSION OF JIMMY CHAN, AS OFFERED BY THE OWNER OF THE MOJAVE WELLS HOTEL: "Salesman, huh? Oriental novelties or chop suey?" THE HOTEL'S ROOM PRICE AS QUOTED TO JIMMY CHAN BY THE HOTEL OWNER: "Two bucks, without breakfast." THE AMOUNT OF MONEY REQUESTED BY THE BUS DRIVER TO TAKE JIMMY TO MANDERLEY CASTLE: "...25 bucks..."
THE NAME PRINTED ON THE SIDE OF THE BUS: "DESERT BUS LINE"
ACCORDING TO THE BUS DRIVER, THE WAY TO MANDERLEY CASTLE FROM WHERE HE DROPS OFF JIMMY AND MADAME SATURNIA: "Just follow this road - about two miles." THE VINTAGE OF THE CROSSBOW HELD BY CHARLIE CHAN, AS STATED HIMSELF: "Fourteenth century." ACCORDING TO PAUL MANDERLEY, THE LENGTH OF TIME IT MIGHT TAKE FOR HIS LATEST BOOK TO COME OUT: "...perhaps three or four years." CHARLIE CHAN'S EXPLANATION TO PAUL MANDERLEY OF THE ABOVE NOTE: "Payment due on ice box." THE REASON FOR THE STORE OF POISONS AT MANDERLEY CASTLE, ACCORDING TO PAUL MANDERLEY: "...these poisons have only been used on gophers, rats, and coyotes." ACCORDING TO PAUL MANDERLEY, THE AMOUNT OF NIGHTSHADE ORIGINALLY IN THE BOTTLE: "...only two ounces." ACCORDING TO CHARLIE CHAN, THE AMOUNT NOW IN THE BOTTLE: "Less than quarter ounce remain." DR. RETLING'S STATEMENT REGARDING THE ROOT OF TEGARA WEED: "Isn't that what friar Lawrence gave to Juliet? The old chemists used it for insomniac cases." CESARE BORGIA'S WHEREABOUTS, ACCORDING TO LUCY MANDERLEY: "Dead. He was killed in the Spanish War." ACCORDING TO LUCY MANDERLEY, THE CAUSE OF THE SCAR ON THE FACE OF YOUNG CESARE BORGIA: "He had a serious accident when he was seven." ACCORDING TO WATSON KING, HIS CURRENT EMPLOYER: "(A) Los Angeles detctive agency." 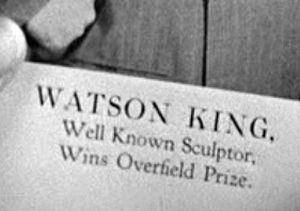 ACCORDING TO WATSON KING, THE NAME OF THE DETECTIVE AGENCY FOR WHICH HE WAS NOW WORKING: "...the Brewster Agency." CHARLIE CHAN'S FAMILIARITY WITH THIS AGENCY: "Have met head man." alchemist - One who was versed in the practice of alchemy, the medieval chemical science and speculative philosophy whose aims were the transmutation of the base metals into gold, the discovery of a universal cure for diseases, and the discovery of a means of indefinitely prolonging life. Paul Manderley: "Every sixteenth century castle had its own apothecary or alchemist." apothecary - One who prepares and sells drugs and other medicines. Paul Manderley: "Every sixteenth century castle had its own apothecary..."
Borgias - An Italian family, influential from the 14th to the 16th century, that included the son and daughter of Pope Alexander VI. Cesare (1476-1507), a religious, military, and political leader, was the model for Machiavelli's The Prince. 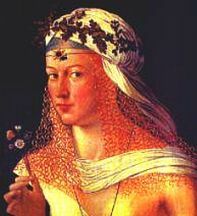 Lucrezia (1489-1519), the Duchess of Ferrara, was a patron of learning and the arts. Professor Gleason: "Aren't you descended from the famous Borgias?" Hotel Owner: "Oh, a chop suey salesman, huh?" cocktail - Any of various mixed alcoholic drinks consisting usually of brandy, whiskey, vodka, or gin combined with fruit juices or other liquors and often served chilled. Professor Gleason: "That was an excellent coctail, Mrs. Manderley." come clean - (Idiom) To confess all. Arthur Fletcher: "Well, I might as well come clean." genealogist - An expert in the study or investigation of ancestry and family histories. Lucy Manderley: "I didn't know you were a genealogist." give out - (Slang) To offer information. Carl Detheridge: "Same old Charlie, he never gives out." hot - Very good or impressive. Jimmy Chan: "Oh, boy! Am I hot with a bow and arrow!" insomniac - One who suffers from insomnia, the inability to sleep. Dr. Retling: "The old chemists used it for insomniac cases." Isis - The principal goddess worshiped by the Egyptians. She was regarded as the mother of Horus, and the sister and wife of Osiris. The Egyptians adored her as the goddess of fecundity, and as the great benefactress of their country, who instructed their ancestors in the art of agriculture. Madame Saturnia: "The finger of Isis has never touched this house." nightshade - (1) Any of several plants of the genus Solanum, such as the bittersweet nightshade, most of which have a poisonous juice. (2) Any of various similar or related plants, such as belladonna. Charlie Chan: "You give desert pests large diet of deadly nightshade?" out of the way - In such a position as not to obstruct, hinder, or interfere. Jimmy Chan: "Gee, now someone wants him out of the way." Dr. Retling: "How about a rubber of bridge?" Signal Corps - The U.S. Army Signal Corps was formed in 1860, developing a system of communication that used red and white "wigwag" flags. In the Civil War, the unit's tools included observation balloons and the telegraph. During the United States participation in World War I, the Signal Corps used airplanes and other advanced means of communication. During World War II, the Signal Corps' grew in size to more than 350,000 men and women by the end of the war. As the need to orchestrate rapid communication for air, ground, and naval units required more sophisticated technology and services, the Signal Corps was instrumental in the development of such tools as radar, mobile communications, and deciphering machines. On D-Day, June 6, 1944, members of the Signal Corps landed during the initial amphibious assaults on enemy beaches, sending the first film of the assaults to England using carrier pigeons. Jimmy Chan: "...they belong to the Signal Corps." Spanish War (also Spanish Revolution, Spanish Civil War) - A war fought in Spain between the years 1936 and 1939. The fasciists, led by Generalissimo Franco eventually prevailed due to the military assistance provided by Germany. Lucy Manderley: "He was killed in the Spanish War." tagara weed (tagara) - (Sanskrit) A slightly hairy, tufted herb with thick horizontal rootstocks that contains a sweet smelling essential oil. Tagara (Indian valerian) is prescribed as a remedy for hysteria, hypochondria, nervous unrest, and emotional troubles. The drug contains a group of iridoid or monoterpenic derivatives, known as valepotriates which are useful as tranquilizers and sedatives. An iridoid ester glycoside designated as valerosidatum (isovaleryl glucoside) has also been isolated. Charlie Chan: "Old Chinese herb doctor use tagara weed as drug." 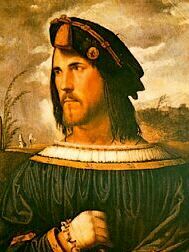 Cesare Borgia (1476-1507), a soldier, politician, and the younger son of Pope Alexander VI, was an outstanding figure of the Italian Renaissance. Pope Alexander VI used his position to empower his son and establish a papal empire in northern and central Italy. Archbishop of Valencia and a cardinal by 1493, Cesare resigned these offices after the death, in 1498, of his elder brother, the duke of Gandia, in whose murder he was probably involved. Cesare Borgia now began his political career as papal envoy to France. There, he was able to make an alliance with King Louis XII who made him duke of Valentinois (Valence). In 1499 he married Charlotte d'Albret, a sister of the king of Navarre. At this time, the French had overrun Italy. Cesare, with his father's encouragement, subdued the cities of the state of Romagna one by one. After he was named duke of Romagna in 1501 by the pope, Cesare also captured Piombino, Elba, Camerino, and the duchy of Urbino. He crowned his achievements by artfully luring his chief enemies to the castle of Senigallia, where he had some of them strangled. By killing his enemies, gaining control of the college of cardinals, extending his conquests as fast as possible, and buying the loyalty of the Roman ruling class, he had hoped to make his position independent of the papacy, or at least to insure that the election of any future pope would be to his liking. However, before his schemes could be realized, Cesare fell victim, in 1503, to the same poison (or illness) that had suddenly killed his father. Although Cesare recovered, his political power had suffered a fatal blow. Pope Pius III, after a short reign, was succeeded by Julius II, an implacable enemy of Cesare Borgia. King Louis XII then turned against him, and Julius demanded the immediate return of what territory remained to Cesare and had him temporarily arrested. Returning to Naples, Cesare was soon arrested by the Spanish governor there as the result of collusion between Julius II and the Spanish rulers, Ferdinand and Isabella. Sent to prison in Spain, Cesare Borgia escaped and finally found refuge at the court of the king of Navarre in 1506. The next year, he died while fighting for the king during the seige of Viana. With his death, Cesare Borgia's former possessions had passed under direct papal rule, thus leading to the eventual consolidation of the Papal States. Cesare Borgia has long been considered the model of the Renaissance prince, the model for Niccolò Machiavelli's Prince: intelligent, cruel, treacherous, and ruthlessly opportunistic. Lucretia Borgia (1480–1519) was the daughter of Rodrigo Borgia, a powerful Spaniard who would later become Pope Alexander VI. Lucretia’s brother was the notorious Cesare Borgia. It is not certain whether the stories of her participation in the crimes of her father and brother are true, but several arranged marriages to powerful men of the era served to advance the political ambitions of Cesare and his father. To this end, Lucretia Borgia was married to Giovanni Sfortza, who ruled Milan. He was later coerced into confessing to false charges and forced to agree to an annulment by Lucretia’s father as Pope when Sfortza no longer proved beneficial to the Borgia family. Next, Lucretia married 17-year-old Alfonso V of Aragon. Soon, her father wanted he to marry another man, and, it is speculated that Cesare arranged, if not participated in, the strangling of Alfonso. Lucretia Borgia was then free to marry Alphonso d’Este, the Prince of Ferrara. Legend has it that Lucretia had a hollow ring with which she would poison drinks during extravagant parties given by the Borgia family. The above image, a painting by Renaissance artist Bartolomeo Veneziano, is thought to dipict Lucretia Borgia. Scotty's Castle, Death Valley, California, the real "Castle in the Desert." There is a real Castle in the Desert that has stood in California's forbidding Death Valley for decades which certainly provided the inspiration for Manderley Castle as seen in "Castle in the Desert." The story of the actual castle is equally unlikely as that of Paul Manderley's building of an isolated sixteenth century castle. In the 1920s, the unlikely duo of rowdy prospector and fortune hunter Walter "Death Valley Scotty" Scott and Albert Johnson, a religious, wealthy Chicago insurance magnate decided to build a comfortable home and ranch in California's Death Valley. Because the warm, dry climate of the region had drastically improved his health, Johnson happily funded the project where he, his wife, and Scotty, with whom he had earlier formed a very unlikely friendship, would live. Scotty, a master at seeking publicity, spread the word that he was building a $2 million mansion in the desert with profits that he had earned from a gold mine. When hordes of reporters began to arrive, Mr. Johnson went along with his flamboyant partner’s story, stating that he was Scotty's banker. Toward the end of the 1930s, Albert Johnson and his wife decided to retire to Hollywood. 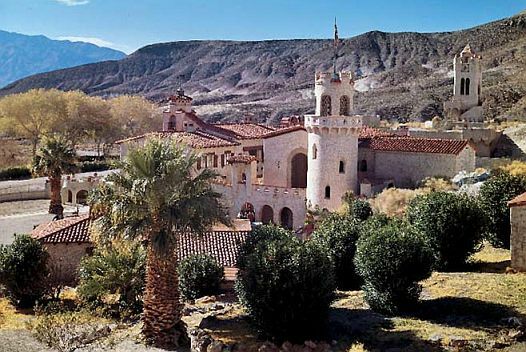 However, they often returned to the Castle which had by then become a popular hotel and tourist attraction due to its proximity to the famous Death Valley. Thousands of tourists visited Scotty's Castle each year, to see the home of the colorful gold miner. Reporters from around the country also continued to spread the story of Scotty and his castle. 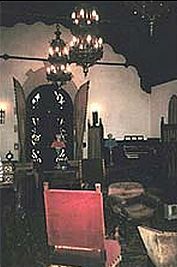 After the Johnsons passed away in the 1940s, Scotty's Castle was donated to the Gospel Foundation, a charitable organization that continued to operate the hotel and run tours. 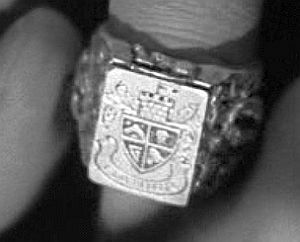 This organization also took care of Scotty who spent the final years of his life at the Castle until his death in 1954. Scotty's Castle and the surrounding estate was sold to the National Park Service in 1970 which offers daily tours to the thousands of tourists that continue to visit this "Castle in the Desert" each year.